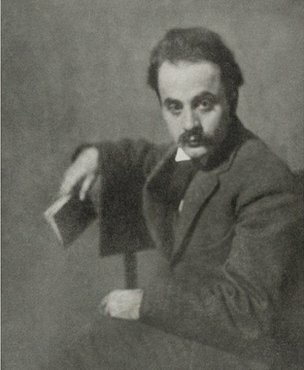 Kahlil Gibran was a Lebanese-American artist, poet, and writer. Born in the town of Bsharri in the north of modern-day Lebanon, as a young man he immigrated with his family to the United States, where he studied art and began his literary career, writing in both English and Arabic. In the Arab world, Gibran is regarded as a literary and political rebel. His romantic style was at the heart of a renaissance in modern Arabic literature, especially prose poetry, breaking away from the classical school. In Lebanon, he is still celebrated as a literary hero.